Sunrise Mushrooms Inc is an American based company categorized under mushrooms. 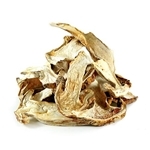 The company offers product such as Maitake Mushroom, Porcini Mushrooms, Shitake Mushrooms, Wild Mushrooms and Dried Mushrooms. Sunrise Mushrooms Inc Company was started in the year 1992, and is privately held. The headquarters of the company is situated in Watsonville, California, United States of America. The company engages in plantation of mushrooms under cover mines, and in other special environments. Sunrise Mushrooms Inc falls under crop production sector, which grows crop for foods and fibers. The company after the production of mushroom sends it to farm gate for market. There are currently 0 consumer reviews about Sunrise Mushrooms Inc available. Share your review. Please take a note that you are about to post a public review about Sunrise Mushrooms Inc corporate office on CorporateOffice.com. This review will be public, so please do not post any of your personal information on this website. If you would like to contact the corporate offices of Sunrise Mushrooms Inc, please use their contact information such as their phone number, website, and address listed above to contact them. However, sometimes staff from Sunrise Mushrooms Inc headquarters do read the reviews on this website.